<Which Housing Style Suits You? 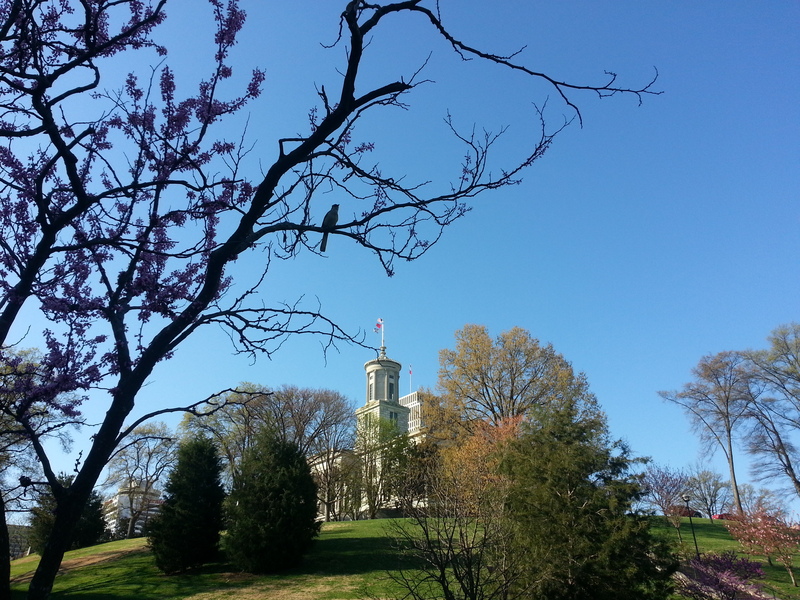 Cross Country Road Trip: Nashville to Louisville, Ky. Given our distaste for the Sheraton in Memphis, we flew out of there in the morning, but only after Agnes and I snuck in some exercise while MainMan slept in. We walked out of the Sheraton and towards the train station/park we could see from our window. This cute bird greeted us on our walk. After our walk, we searched for the New York Times travel guide “36 hours in Nashville,” and though dated, it gave us a couple great antique store recommendations and a yummy breakfast place Marche Artisan Foods. It was the highlight of our time in Nashville. 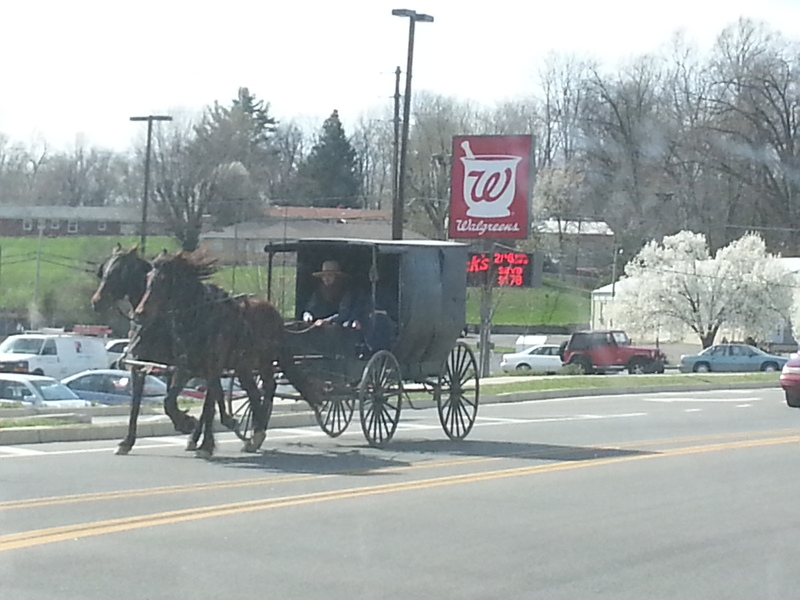 We hopped on 31 West and to our surprise, once we hit Kentucky, we saw a horse and buggy. I didn’t realize they had Amish people in Kentucky! It reminded me of driving through Pennsylvania/Indiana with my mom in 2010. 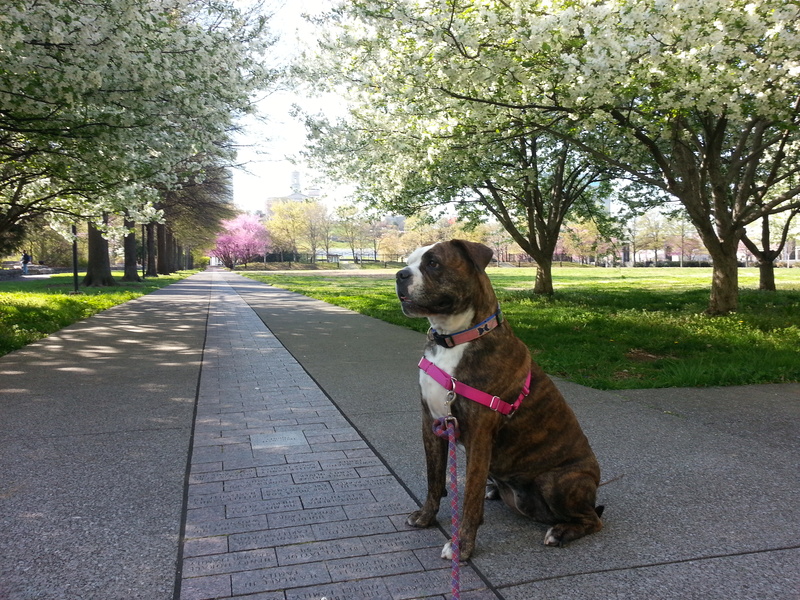 We were headed to see Kola, who has been living in Louisville for the past several years. She sent a great email covering Kentucky highlights and we were able to make a few of her recommended stops. Kola and I swam together at UVA, we lived together in Arlington, Va., and she was in my wedding last year. We’ve been close friends for over a decade and we look forward to seeing more of her now that we’re back on the east coast. The first was the Mammoth Cave National Park. Who knew the world’s longest known cave system was in south central Kentucky? We weren’t able to do too much exploring with Agnes in tow, and it was too hot to leave her in the car, so we opted to take turns approaching a cave entrance (the best you could do without paying for one of the guided tours which is required to venture into the dark, creepy caves). You felt a surprising cold blast of air as you approached the dark, wet entrance. I didn’t have the guts to go on a guided tour even without Agnes! They have tours ranging from 1/2 hour in length all the way up to six hours for the really adventurous and non-claustrophobic! 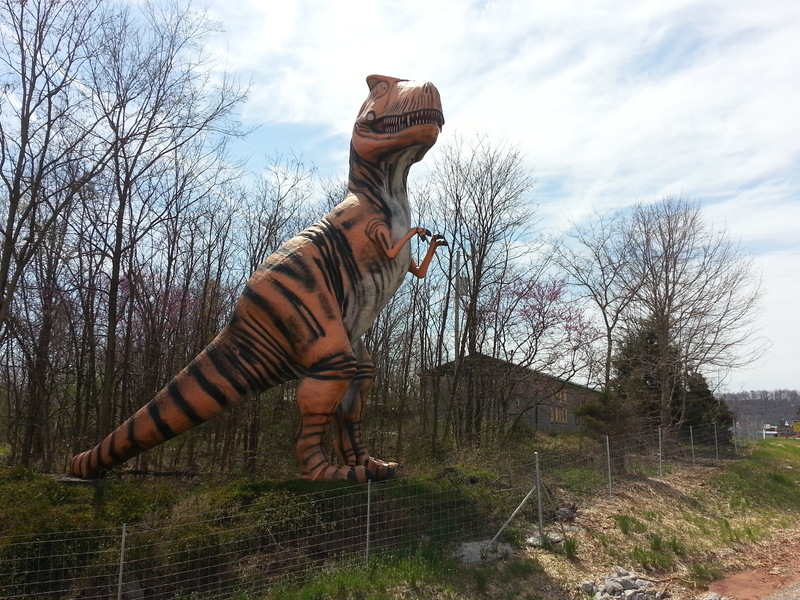 After the cave we stopped for a quick photo of the tiger-striped tyrannosaurus rex greeting you at Dinosaur World. I guess with kids it’d be entertaining, but for us a drive-by was plenty of fun. Later we passed from one time zone to another, marked by a small green sign telling us so. There’s a first for everything! And let’s not forget the old man on the side of the road selling chicks and ducks. We were tempted — I’m sure Agnes would have loved the feathered company — but we decided to keep going. We both decided it was too risky to stop for a photo, as quaint as the scene was, because who knows what else the old man had going on besides ducklings in his little shack. We finally made it to Kola’s apartment where there was much hooting and hollering, laughing and smiling. Agnes loved her new digs and after a couple hours of catching up, we walked to her neighborhood joint Cafe Lou Lou. From there it’s all a blur thanks to too much wine and good company. thanks for this! I’ll be heading from nashville to philly in august and wanted to find pit stops that were off the beaten path. i’ll definitely do a drive by of dinosaur world!